The Certified Hemodialysis Technologist exam is a comprehensive and detailed assessment of the knowledge and skills required to work in this challenging branch of health care. Candidates for this certification should set aside a great deal of time for research and study, beginning months before the examination date. The content of the exam is divided into five major domains: patient care (65% of the exam), machine technology (10%), water treatment (5%), dialyzer reprocessing (5%), and education/personal development (15%). These domains of the Certified Hemodialysis Technologist exam represent the most essential areas of practice. Within each of these domains, there are specific subjects that should be thoroughly reviewed in advance of the examination. For instance, the patient care domain includes questions about assessment, management of treatment, intervention, and evaluation. 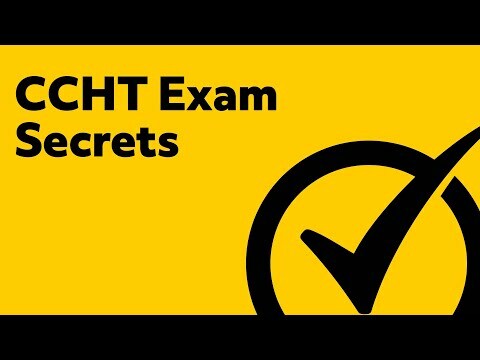 You can expect to see questions related to each of these subtopics on the examination. In the machine technology domain, on the other hand, you should look for questions related to maintenance of systems, machine set-up, and machine operation/evaluation. In order to succeed on the Certified Hemodialysis Technologist exam, you need to be familiar with the latest equipment. Within the water treatment domain, meanwhile, are questions about components and the design of systems, the maintenance of systems, and the protocols for monitoring and evaluating systems. In the dialyzer reprocessing domain, on the other hand, there are questions about procedures, especially with respect to testing, validation, and evaluation. The Certified Hemodialysis Technologist examination is not limited to technical subjects, however. In the education and personal development domain, there are questions related to patient education, personal and professional development, and quality-related issues. All of these subjects are fair game on the exam, so it is essential to study carefully in the coming weeks and months. 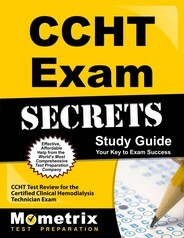 The Certified Hemodialysis Technologist exam was developed by the Board of Nephrology Examiners and Nursing Technology. Ace the Certified Hemodialysis Technologist test using our Certified Hemodialysis Technologist exam study guide with practice questions. 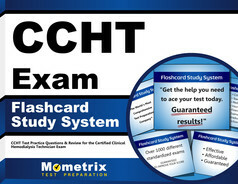 Quickly Solve Difficult Certified Hemodialysis Technologist Test Questions with the Certified Hemodialysis Technologist Flashcard Study System.